Popular demand and the huge success of their Play Money BlackJack have prompted BackgammonMasters.com to quickly unveil the real money version of the classic game in their All-in-One Game Lobby. BackgammonMasters BlackJack game tables seat up to 5 players simultaneously all playing against the dealer. The 3D graphics and avatars offer a dimension to the game that outwardly enriches the experience of playing online blackjack. For newbies, BackgammonMasters offers Play Money Mode and a special View Mode where players can sit in on real money games and observe before placing a bet. Also, BackgammonMasters offers countless BlackJack Articles for those looking to learn more about online BlackJack and get tips on playing BlackJack 21. With each game added to the Game Lobby, which now offers Backgammon, Poker, Perudo and BlackJack in one download and one software, traffic increases so that players can log in at anytime and select from tables filled with participants from all over the world. The rooms are also a-buzz with real time chat that is so prevalent in these community games. Language does not seem to be a barrier to these folks, and though the software is offered in over 10 languages, players easily find common ground and engage in talk about their favorite games with BlackJack enthusiasts around the globe. The current Backgammon Download is available at http://www.backgammonmasters.com/. Accessing all four games because of their centralization in one game lobby, but more than that, players can participate in these real money games using one wallet (one account). The cashier interface is revolutionary and unique in the sense that it can handle players who choose to play four different types of games at the same time. BackgammonMasters.com is celebrating the launch with tournaments, bonuses and prizes to be given away generously. For more information about the Blackjack game and Blackjack Rules visit: http://www.BackgammonMasters.com/blackjack-articles.html. 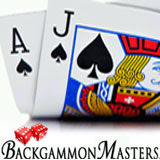 For further online backgammon news and information about BackgammonMasters.com’s new 21 blackjack game see http://www.gammonish.com/blackjack.html.